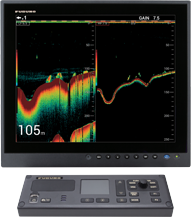 The FCV1900 is a powerful, dual-frequency Fish Finder designed for both commercial and sport fishing boats. 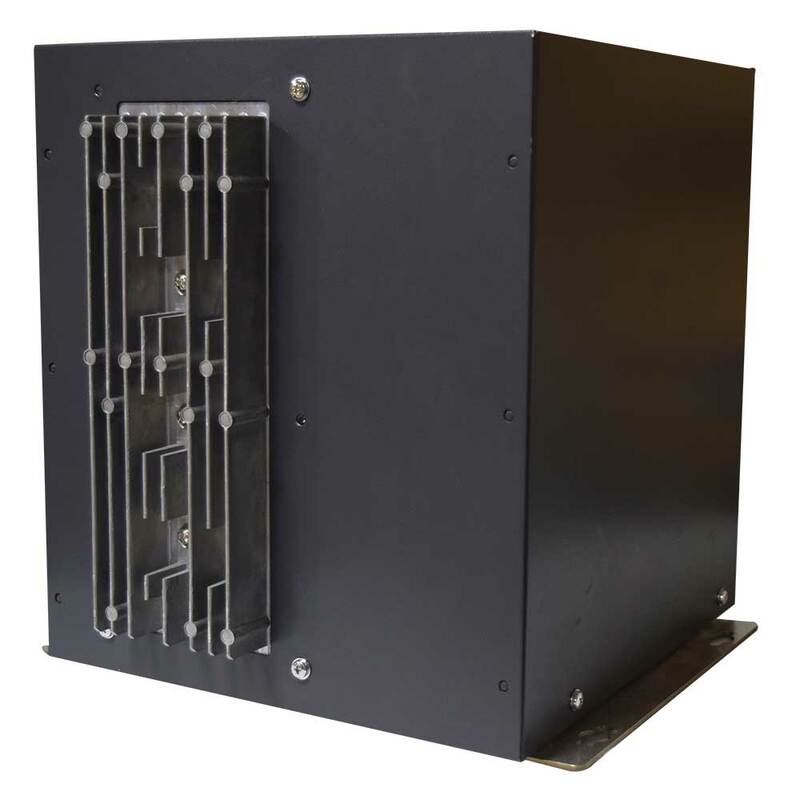 It comes with an easily set 1kW, 2kW or 3kW transmitter. It features the Furuno Free Synthesizer (FFS) transceiver, which allows easy selection of a broad range of operating frequencies (15 kHz to 200 kHz). Retrofitting is made easy with FFS technology. 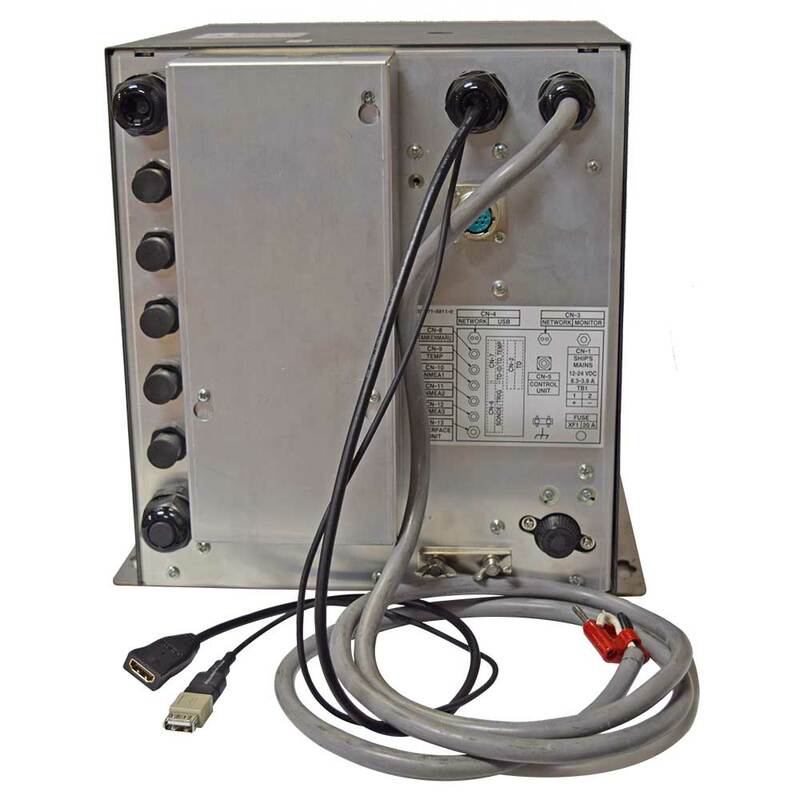 You can easily replace an older FCV1200 processor unit while utilizing the same transducer for convenient installation. Plus we've made the operation of the FCV1900 simple and intuitive with the improved control unit. The control unit features a water resistant touch pad that works even when wearing rubber gloves. You can use the touch pad for setting up VRM and TLL in an instant. With a transmission rate that has been increased by up to 1.4 times (200m range), the FCV1900 series ensures excellent target separation and clarity. You will be seeing individual targets and fish reefs like never before. Display up to four different frequencies together in a compact and easy way by connecting a required network Fish Finder. Since there is no need to install additional displays, this system is especially useful for small vessels. When connected to the BBDS1 you gain the bottom discrimination function, which indicates whether the bottom is composed mainly of rocks, gravel, sand or mud. This information aids in identifying fish species and minimizing bycatch, which can increase efficiency. Use the Simultaneous Gain Setting to increase the visibility of the echo returns on the screen. Display two different gain settings simultaneously for increased visibility in changing water conditions and when changing vessel speed.